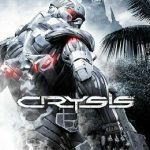 The first ever version of Crysis was able to earn plaudits as it injected some form of superhero appeal to the traditional shooter game, all made possible by the speed of the game and the Nanosuit that improves stealth, shield and power all at the same time. 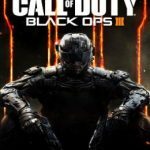 The game has also been the subject of discussions as it restricted its player base exclusively to those who prefer to play the game for PC whose rigs will not melt under the heat of the intensive requirements for graphics. 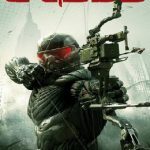 In the case of Crysis 2, Crytek, the game developer, was able to figure out a way on how to cram all of the luscious high definition visuals into PS3 and Xbox 360 so that the console gamers will now be able to wrap around their controllers to what is among the most innovative and state of the art shooters that you can ever find. What’s New? In a smart and wise move which lets Crytek reset the whole story for the new players, the setting in Crysis 2 has shifted from the tropical island to a near future and amazingly rendered Manhattan. An alien assault is ravaging the beautiful city and there is also a virus spreading among the citizens which make them double over in alleyways and the makeshift quarantines where they cough up black blood. Being the only person who wears the unique bioweapon called Nanosuit, you are the sole hope who will be able to save the entire island from the catastrophe that has befallen on it. This Nanosuit also served as the key to the worldwide success of Crysis 2. Dubbed 2.0, the functions of the suit have also been adapted for use in consoles. This time around, you can choose to beef up in armor or you can even go invisible in the cloak mode with a mere tap of a button on the shoulder. Running or activation of any of the powers will drain the energy of the suit and this will then make you vulnerable to attacks. 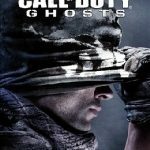 This means that if you want to dominate the enemy forces, you need to achieve a constant strategic balance between finding cover and making the most out of the abilities of the suit. Although the game lets you favor one power over the other through an upgrade system, you will soon find yourself easily adapting to the circumstances where you can use the cloak for flanking groups of enemies then switch over to armor as you open fire on them from the back. Crysis 2 is active in encouraging this play style through the inclusion of tactical assessment sections in every level. Every time you reach any of these points, the game will prompt you to turn your tactical visor on to scope out sniping positions, flaking points, caches of weapons and other points of interest before you charge into battle. Such moments can really open up the improvisation or potential and strategy in what could have been a linear experience otherwise. 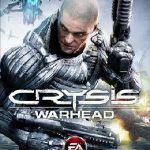 Download Crysis 2 Today Download the full version of Crysis 2 and enjoy this game’s exciting gameplay. 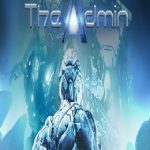 Open “Crysis 2” folder, double click on “Setup” and install it. Then open “bin32” folder, double click on “Crysis2” icon to play the game. Done! DO I NEED GRAPHIC CARD TO RUN THIS GAME. it is asking for produck key. plz give me product key.